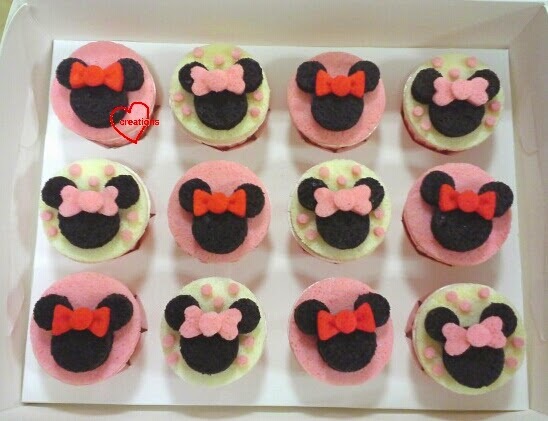 This is quite an intensive bake for me with 24 Minnie Mouse cupcakes, 30 heart cakepops, 15 Mickey and 15 Minnie cookies in one order! Thank God I managed to pull it off with His help!...including all that individual packaging for the cookies and cakepops! 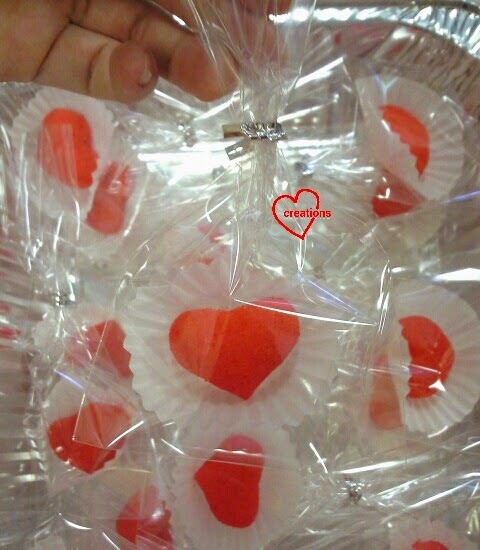 Sweet lil' chiffon heart cakepops! Mounted on cupcake liners instead of sticks. 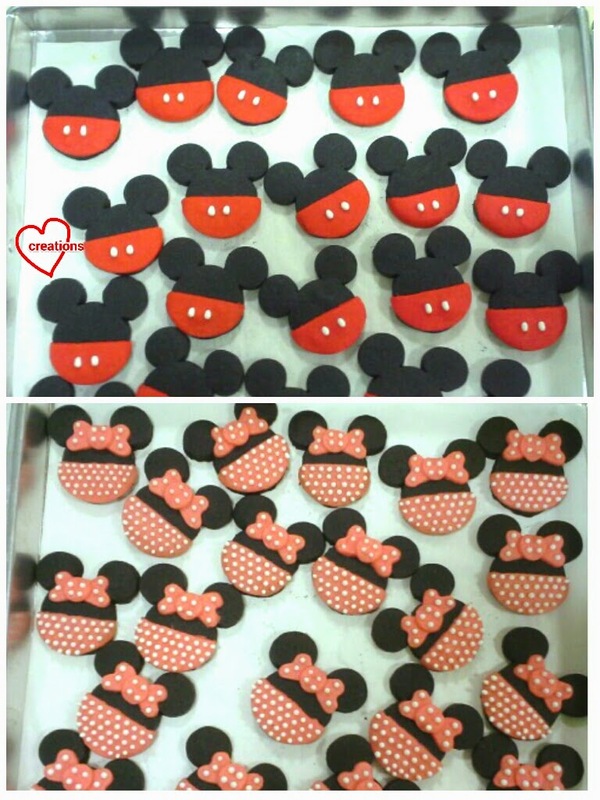 You may refer to my old post on how to make the Mickey and Minnie mouse shortbread cookies. 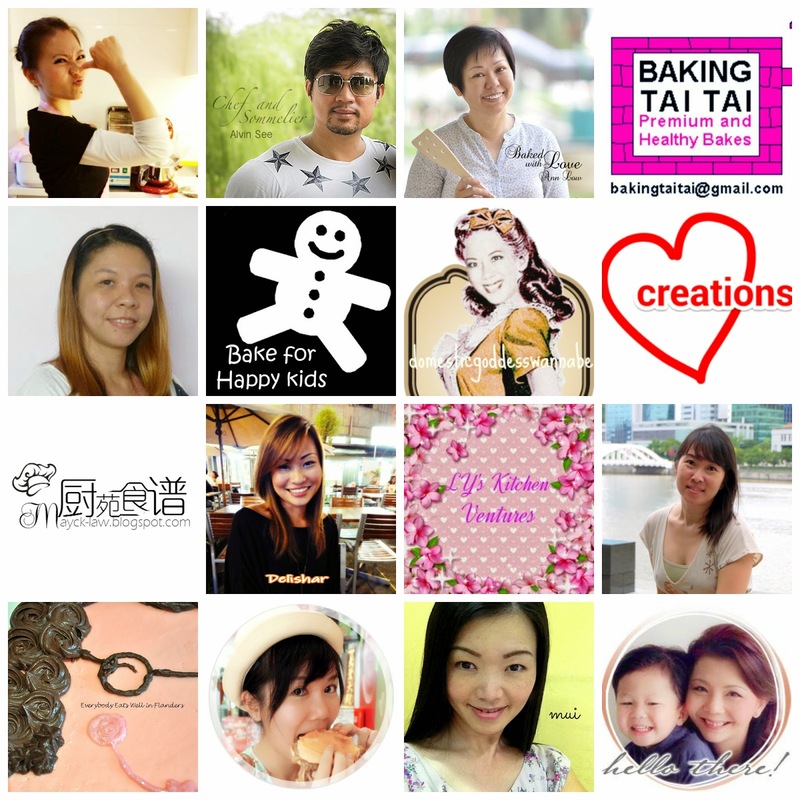 I chose strawberry yoghurt as the cupcake flavour to impart the maximum fruitiness of fresh strawberries, and fragrance and moisture of yoghurt into the cakes. As usual, we use extra egg whites to give our cakes the signature soft and fluffy texture. I adapted the recipe from my strawberry yoghurt chiffon "strawberries." 1. 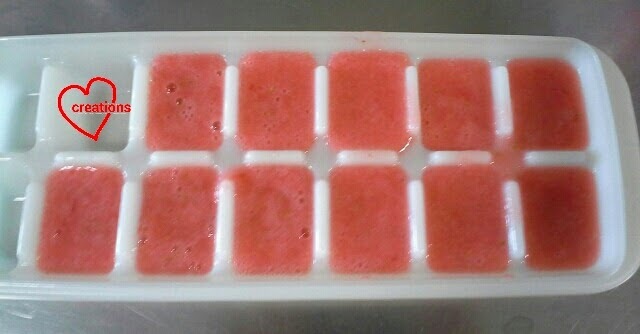 Make the strawberry puree by blending fresh strawberries with a bit of boiled water. This can be made ahead of time and frozen. 2. Whisk egg yolks and sugar until pale and thick. Gradually add oil and whisk until consistency is like mayonnaise. Gradually add puree, yoghurt and strawberry paste and whisk until well combined. Gradually whisk in sifted flour and salt until no trace of flour is seen. 3. Beat egg whites with an electric mixer in a clean metal bowl with cream of tartar until soft peaks form. Gradually add sugar and beat until stiff peaks form. 4. Fold the meringue into egg yolk batter in three additions. You may wish to transfer the batter into a jumbo ziplock bag fitted with piping tip adapter to fill all the cupcake liners quickly if you don't have a batter dispenser. Fill until the batter is about 1cm away from the rim. 5. Bake in preheated oven with tray at second lower rack at 160°C for 8 minutes and 140°C for another 9- 15 minutes or until skewer comes out clean. You may wish to keep the cakes in air tight container/bag in the fridge to keep it fresh for up to a few days. Same as the above except bake the layer cakes at 160°C for 8-10 minutes. I baked very thin layers to mimic fondant, thus the short baking time. These layer cakes can be baked in advance and frozen after wrapping it in double layers of cling wrap. 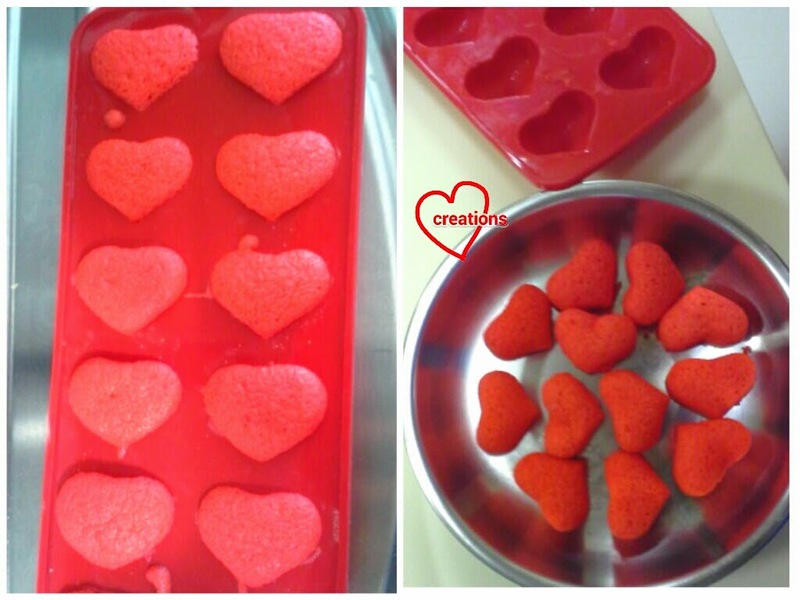 To bake the heartpops, place the heart tray in preheated oven at 160°C then turn the temperature to 140°C immediately. Bake for 13-15 minutes or until skewer comes out clean. Carefully unmould the heartpops when completely cooled. You may wish to lightly grease the heart silicone ice cube tray mould to make it easier to unmould. 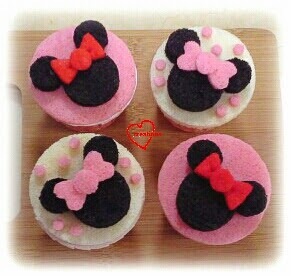 Assemble the cupcakes by using cookie cutters to cut out the shapes and glue on using melted marshmellows. 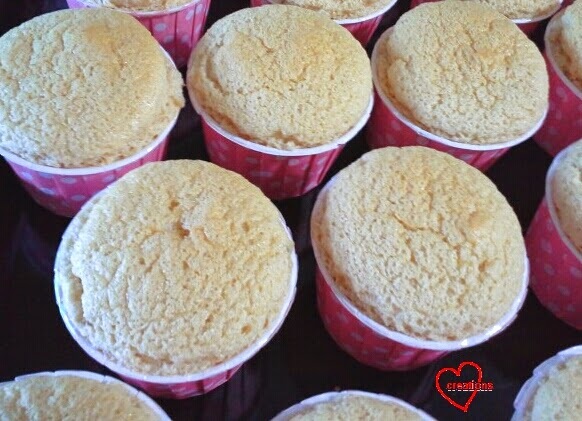 Brush the assembled cupcakes with simple syrup (1:1 ratio of sugar and water) to keep them moist as they will be out in the open for display at the party. Brush the heart cakepops with syrup too as they are very small and tend to dry out more easily. The lady who requested these bakes for her dear daughter's birthday kindly took a photo of the bakes at the table. The bakes at the party! 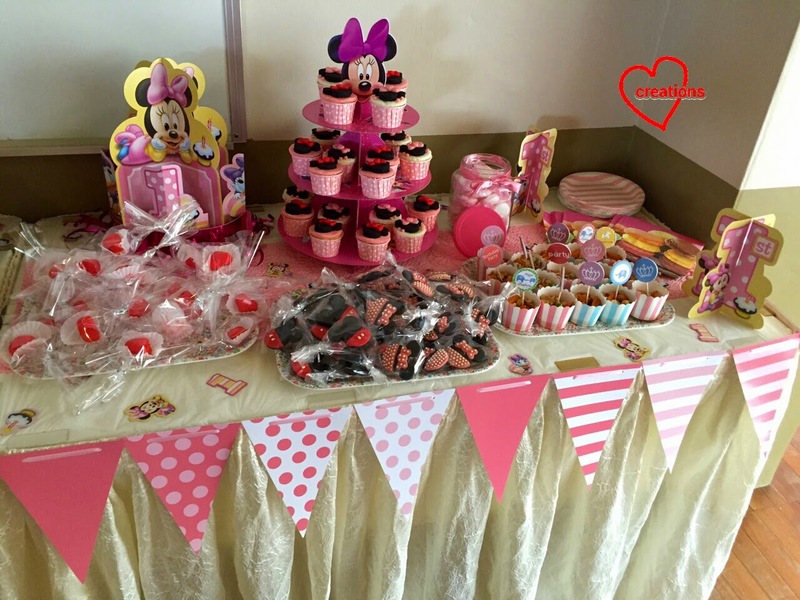 My kids had the extra cupcakes and cookies and they loved it! Perks of having a mama who bakes :p.